Fowler’s questions – they never stop – can you help? You are here: Home / All stories / Fowler’s questions – they never stop – can you help? FOWLER’S FANS CAN YOU HELP WITH ANSWERS/INFORMATION? Is Fowler’s enthusiasm an addiction one cannot quench? We get more and more questions for Mark Benbow about Fowler’s can anyone else help? I have a Vacola jam jar sealing machine and some bottles labelled Fowlers Vacola Jam Jar 1lb. I have only 1 lid labelled Vacola Jam Jar Cover, Gripard, 2 and 7/8 inch. Are the lids still available? 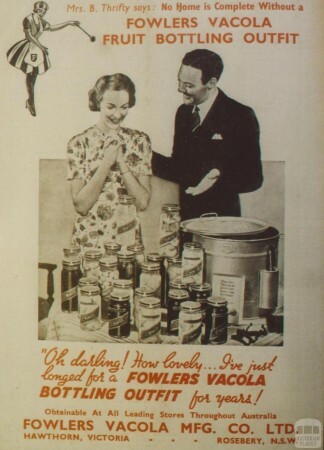 I have checked the Fowlers Vacola website and online but can’t find any information or mention of the jam jars and the sealing machine. I gather the jam jars themselves haven’t been made since the 1950’s. 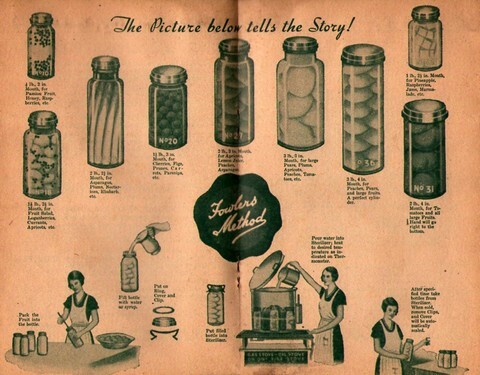 Does anyone have any information about the jam jars and the sealer? Are they valuable or rare? I have a large no 320 jar I hear they are quite rare and I couldn’t find anything on the Internet about them. Does anyone know anything about this jar? I’ve come across some old Fowlers merchandise from my great grandmother. Most of the jars seem to be quite common although I can’t find much about the age/value of the 73s and 74s. I’ve got a beautiful old stovestop Vacola (S.46646) that still has its box with accessories and it’s book that says it’s a 22nd edition. Does the books edition help indicate it’s age? Hi I was hoping someone could help me with approximate dates for various jars. No: 20 – #F1354 (green & clear)/#M107/#3/#5/#6/#8. 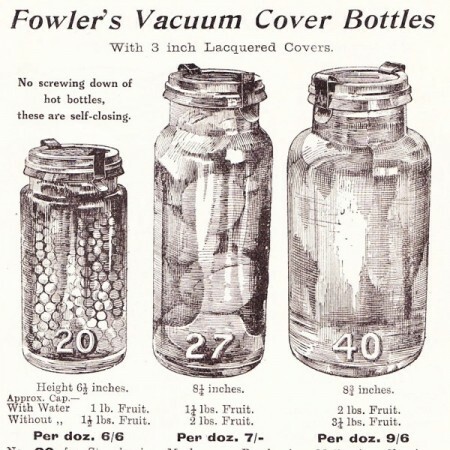 re fowler 320 jar..not easy to obtain, I would love one for my collection, if you want to part with it, two variations…screw lid and regular vacuum lid. Thanks Kathy I have added a post which I hope will make the information more readily available. Fowlers no 16 no 32 been told rare and worth?? ?